Successfully Added iPhone Homey - Pocket Solar Charger + Universal Battery Charger + FM Transmitter to your Shopping Cart. Meet The iPhone Homey, your new best friend and all in one pocket solar charger, universal battery charger, and convenient FM transmitter. Perfect for charging iPhones, iPods, cellphones, digital cameras, Nintendo DS, Nintendo 3DS, Sony PSP, and other mobile devices. More importantly, all audio from these devices can be transmitted to FM radio speakers! If you love the Beatles (and who doesn't?) then you'll remember their hit song "Here Comes The Sun" of the Abbey Road album. In many ways, the iPhone Homey is like that song: cool, makes you feel happy, and never get sick of it. Keep it in your pocket or your purse or your knapsack and always be able to harness all that universal warm sunshine for the continued operation of your iPhone, iPod, or any portable device. So you can talk more, listen to more great music, and just the coolest hipster you can be. If there's no sun about, use the USB connector to charge the phone with some old fashion electricity. It only takes two hours to charge, but with it's built-in 1200 mAh lithium-ion, you'll get endless amounts of juice for all your communication, entertainment, and productivity needs. The best thing about the iPhone Homey is that is comes with FM transmitter functionality. How will that improve your life? FM Transmitters allows you to stream communication and entertainment directly to your car's speaker system by means of your car radio's FM receiver. Basically you'll be able to listen to your music or hear your caller through the car speakers. Great for callers who talk real softly. 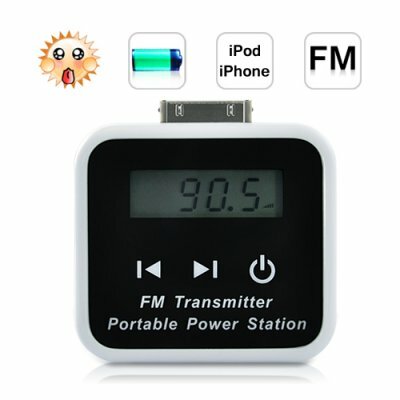 FM transmission is much better than Bluetooth for streaming audio because it uses less battery power. Very important for portable devices. So what are you waiting for? Get an iPhone Homey for yourself, your homies, or your customers. Yes, it's a great resale product because...of all the iPhone owners out there, all the Nintendo DS and 3DS owners out there, the Sony PSP owners out there, you name the portable media device, the iPhone Homey makes things a whole lot better.